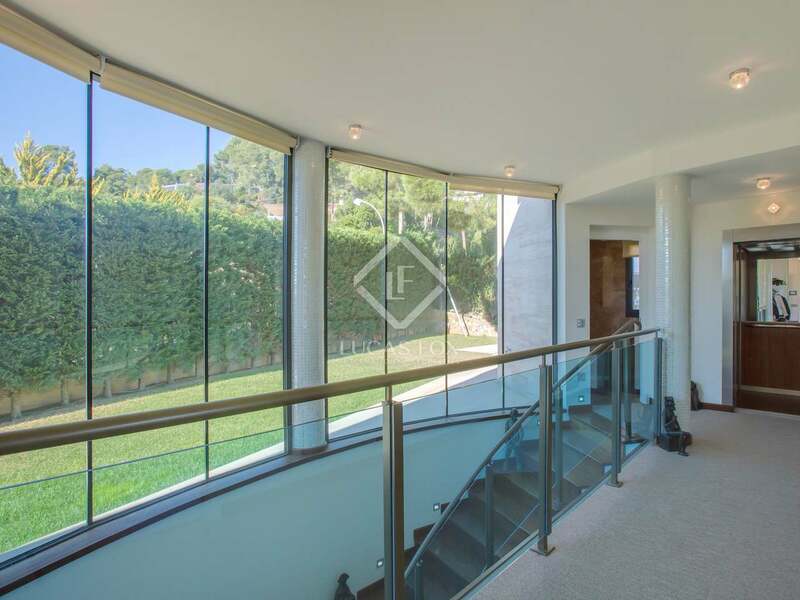 Luxury villa in a secure residential comunity in Tossa de Mar with a private pool, communal tennis court, supermarket and private beach which is walking distance from the property. 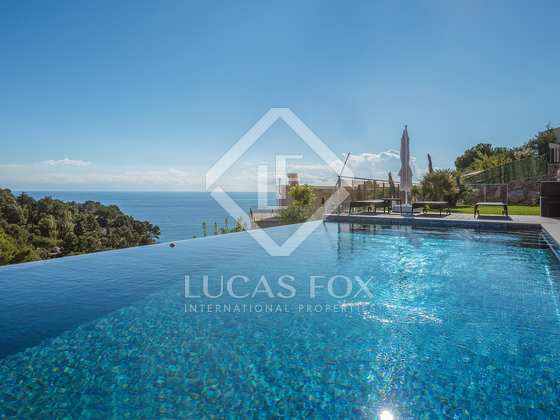 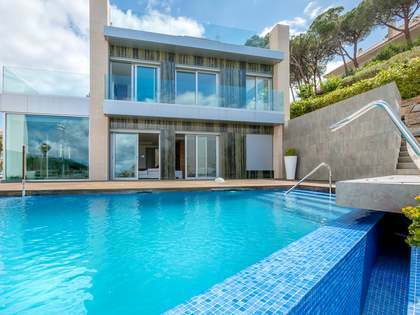 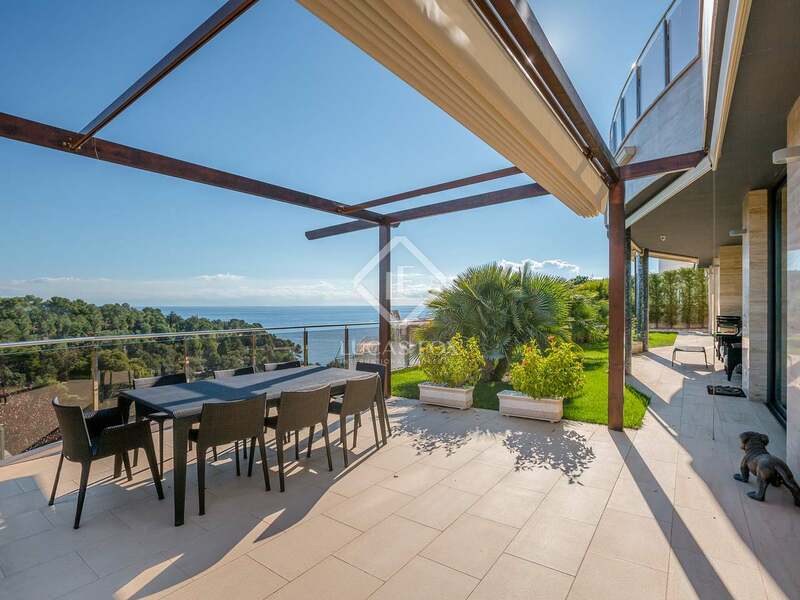 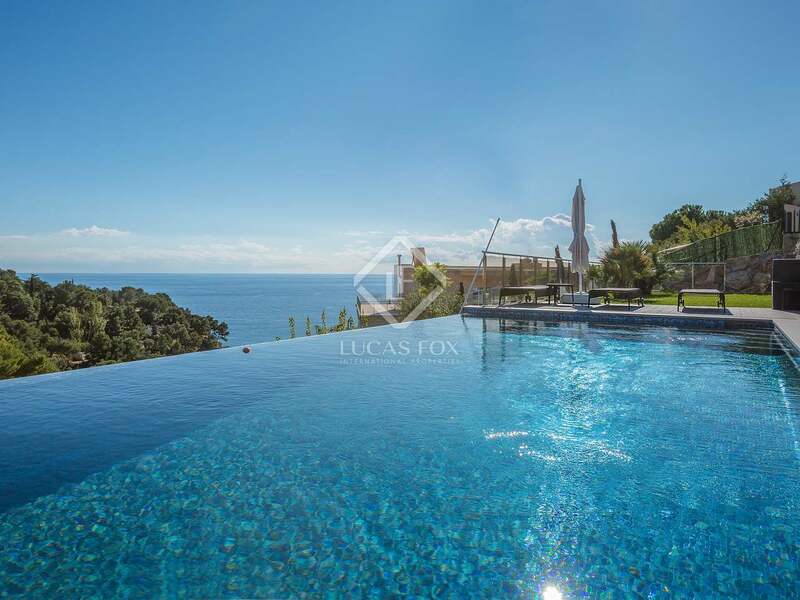 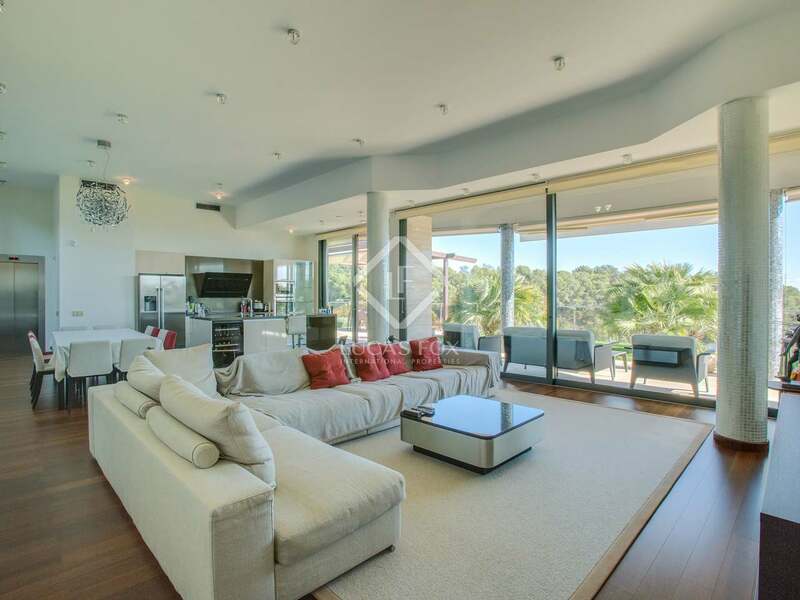 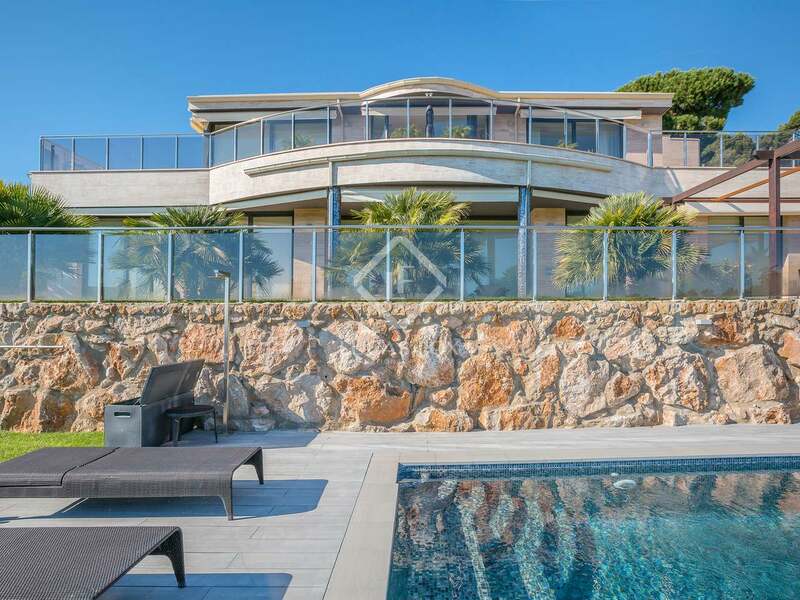 This luxury designer villa was built in 2013 and is presented in impeccable condition with fabulous sea views from its 2,000 m² plot with a 46 m² swimming pool. 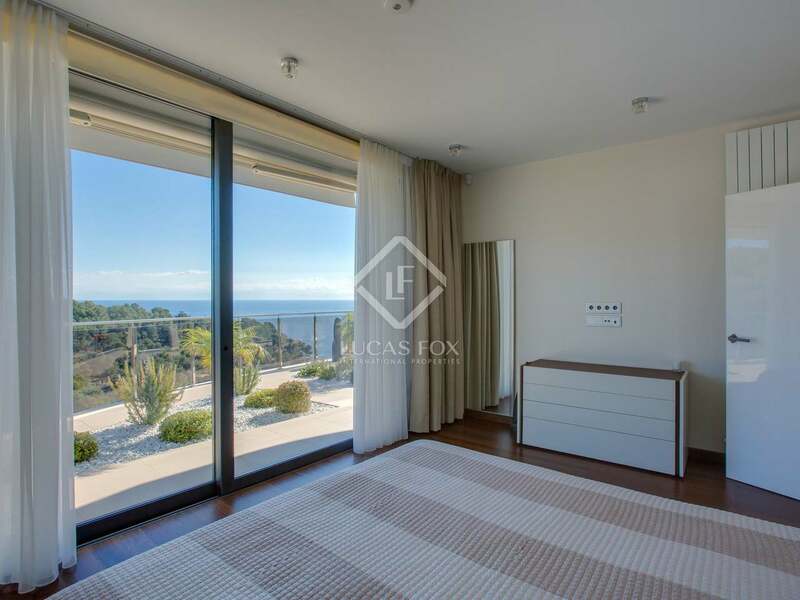 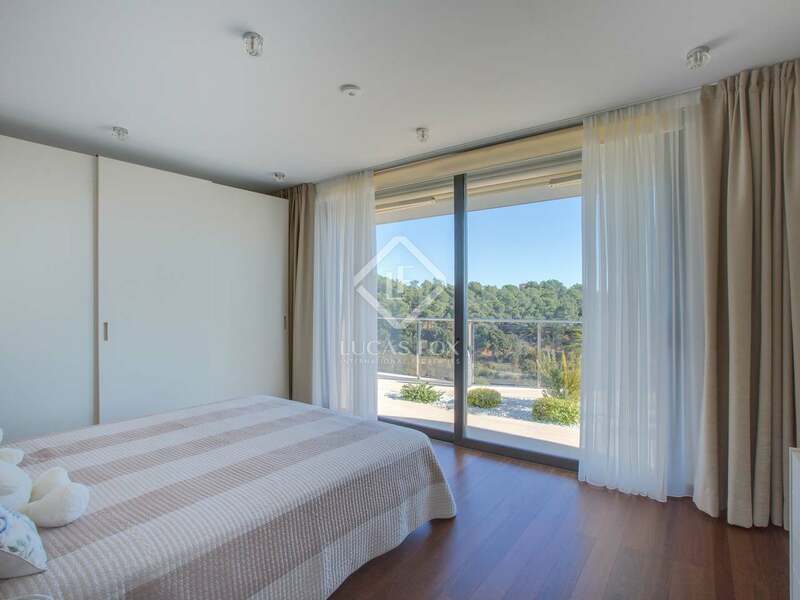 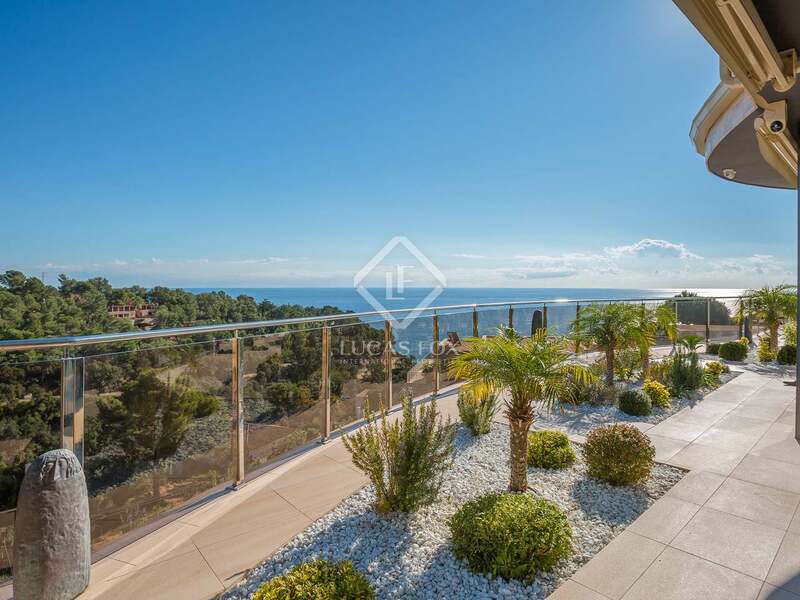 It is located in the gated community, Santa Maria de Llorell, in Tossa de Mar with a communal tennis court, a private beach with a bar and gourmet restaurant and a supermarket at the entrance of the community. 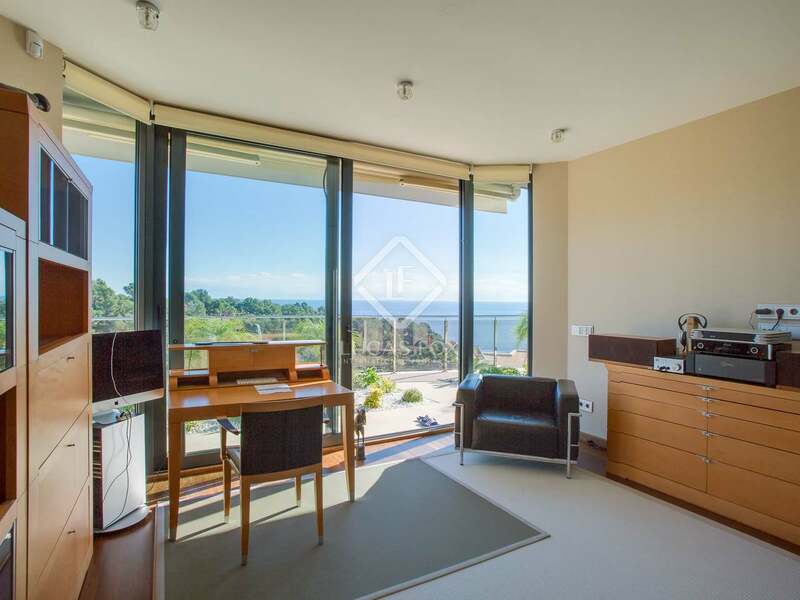 On the ground floor we find a bedroom with an en-suite bathroom and terrace with sea views followed by another double bedroom with terrace with sea views and a third bedroom currently used as a study. 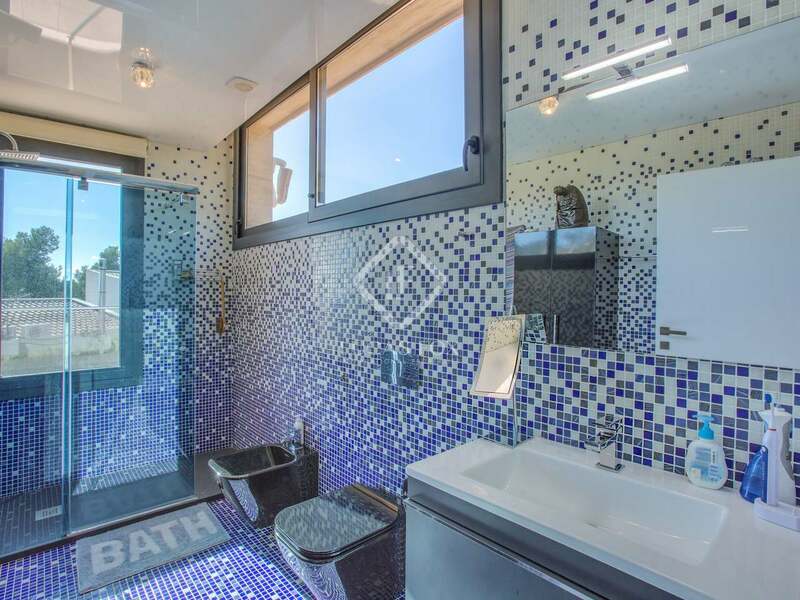 A second bathroom is also on this floor. 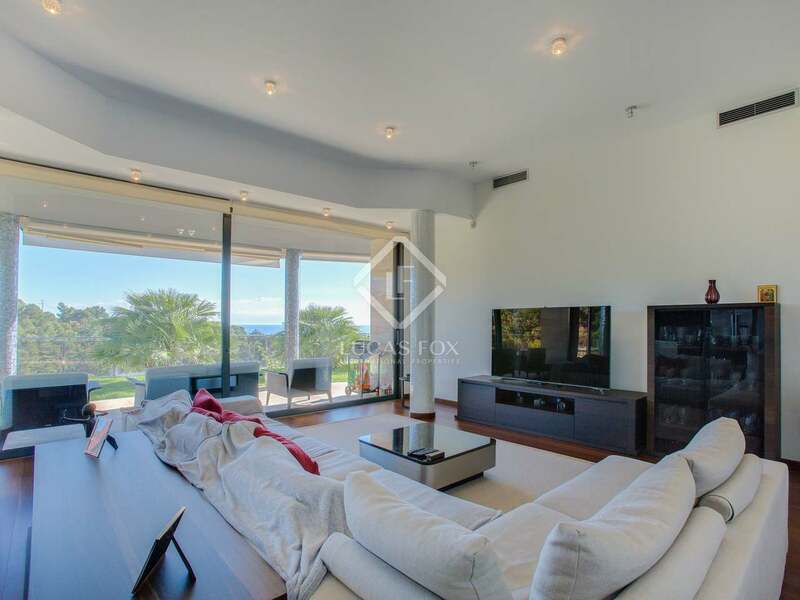 The lower level accommodates the fantastic 120 m² living room – dining room with an open plan kitchen and access to the garden and pool. 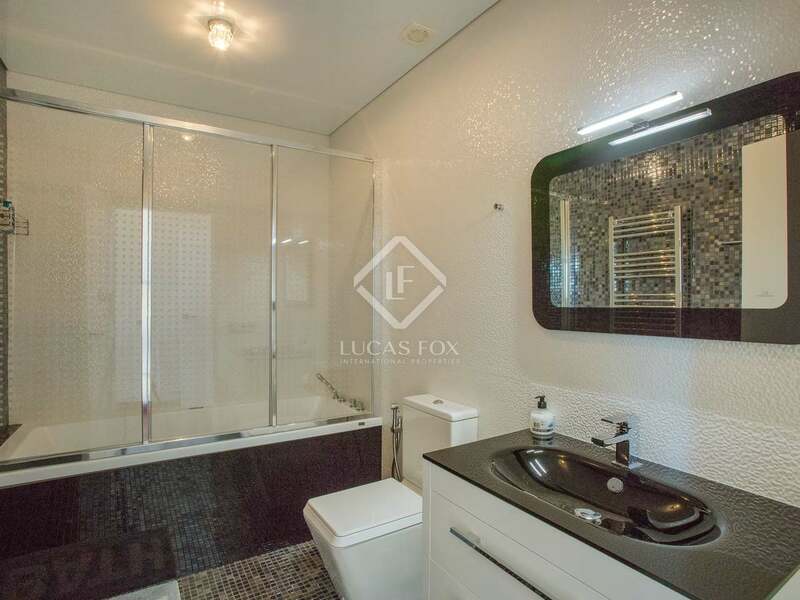 A pantry, machinery room, guest toilet, 3 bedrooms and 3 bathrooms complete this floor. 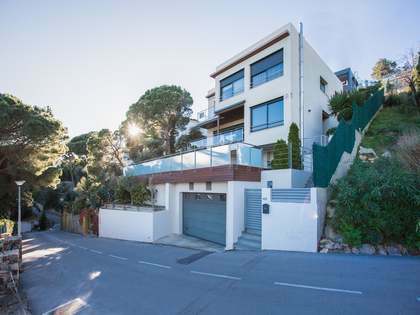 The house benefits from a private 4-car garage. 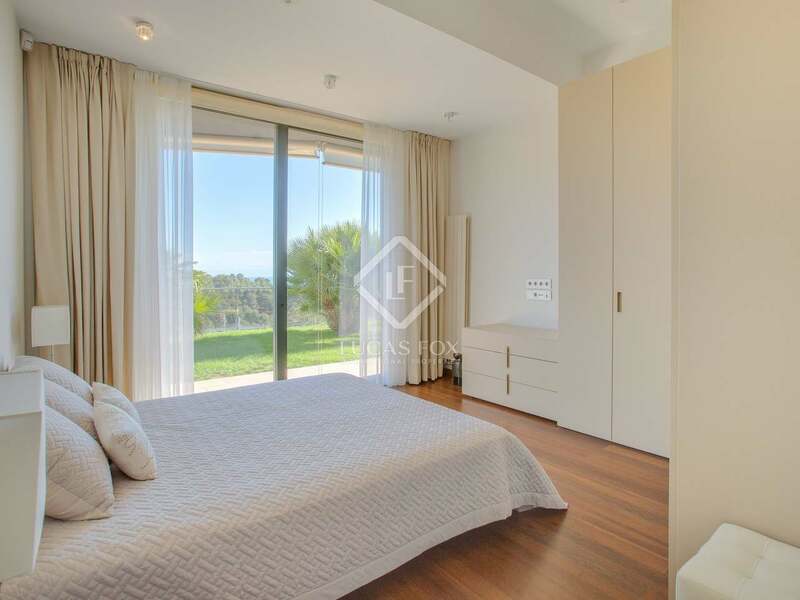 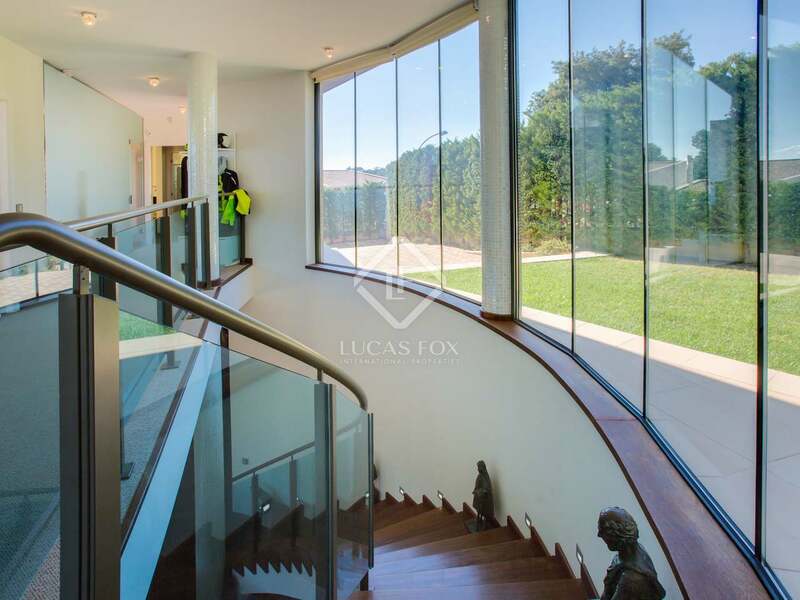 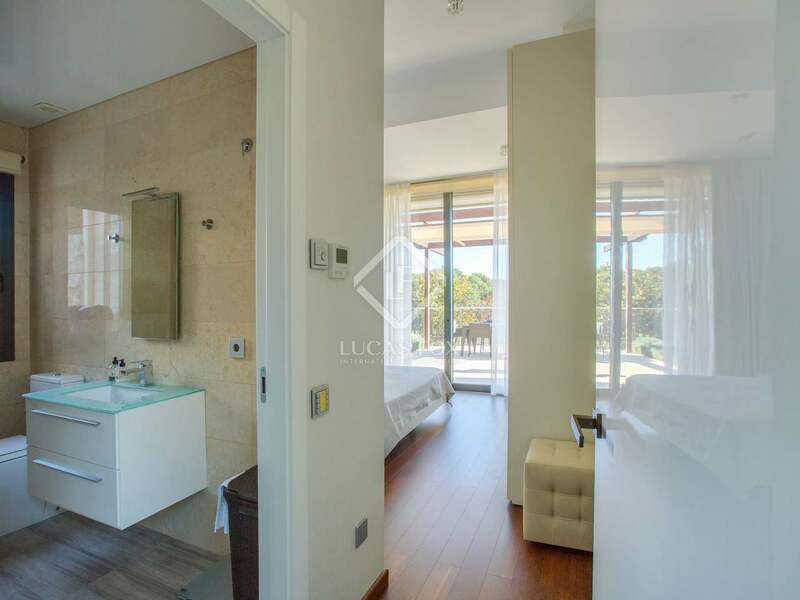 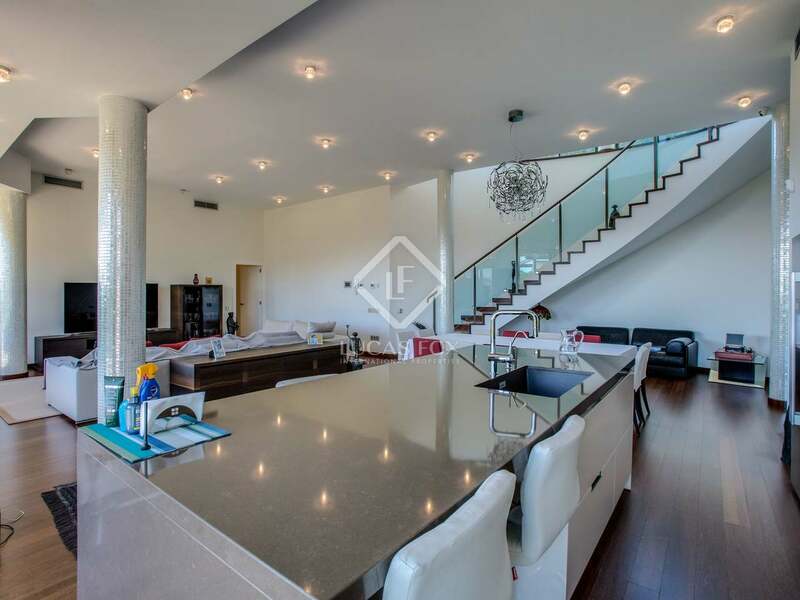 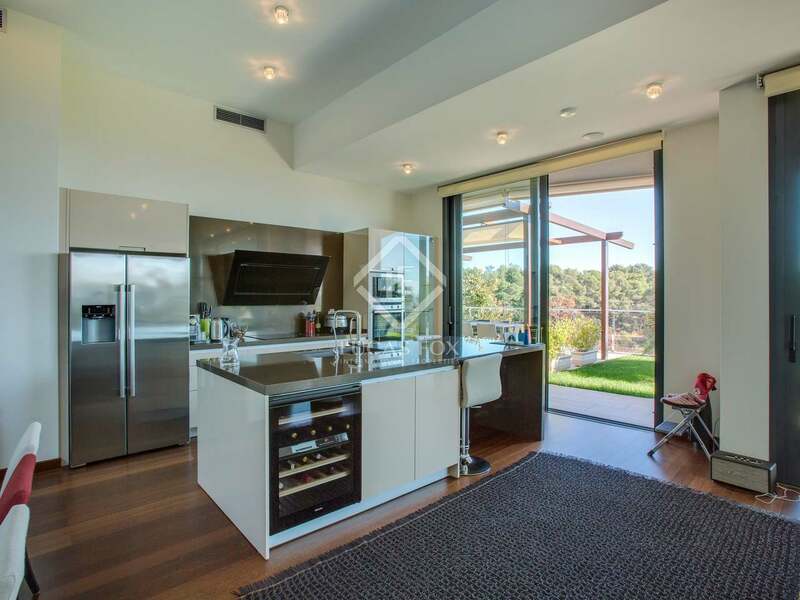 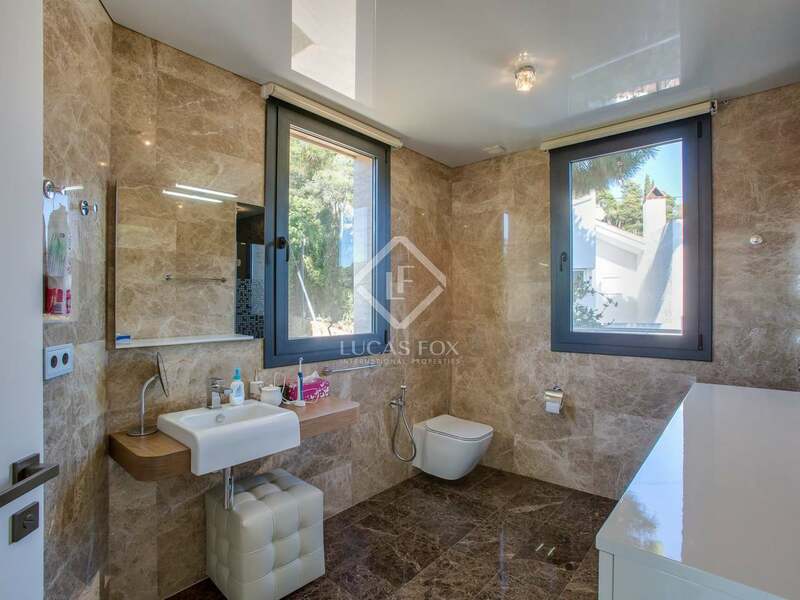 Additional features of this property include the travertine façade, marble floors, solar panels for hot water, air conditioning, heating, double glazing, security camera, a lift, high ceilings plenty of natural light and a chill out area. 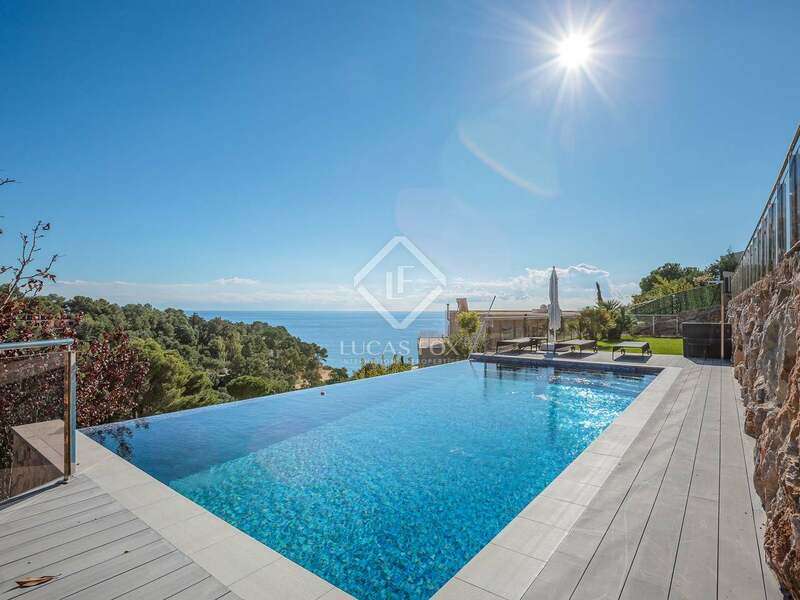 Spacious luxury villa very close to the beach and in a private residential area with security surveillance - ideal as a family residence or holiday home. 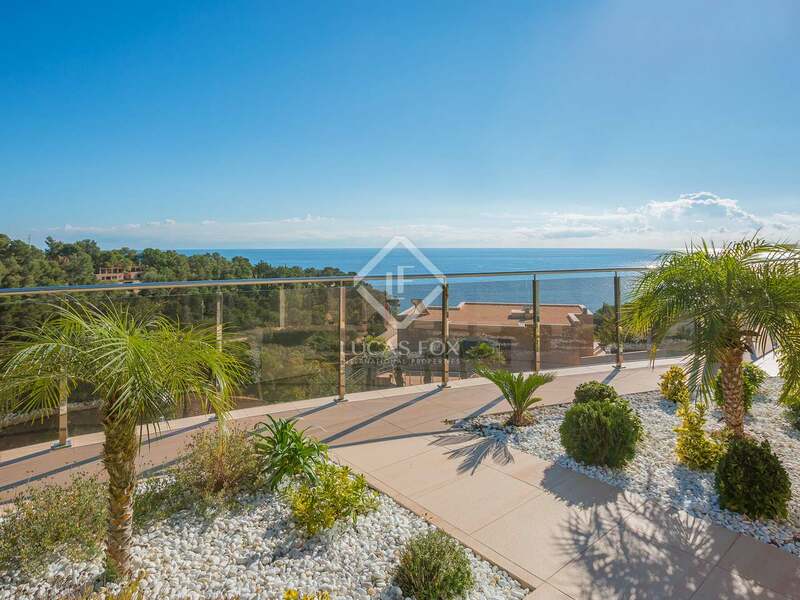 Property located in the gated community, Santa Maria de Llorell, in a privileged area with a communal pool, tennis courts, a beach bar, gourmet restaurant at the end of the beach and a supermarket a the entrance of the gated community. 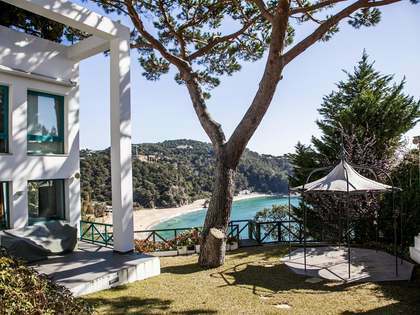 The fabulous Santa Maria de Llorell beach is just a 5-10 minute walk away. 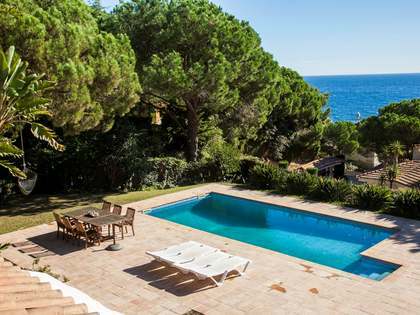 The area forms part of the municipality of Tossa de Mar, with the town centre just 2.5 km away. 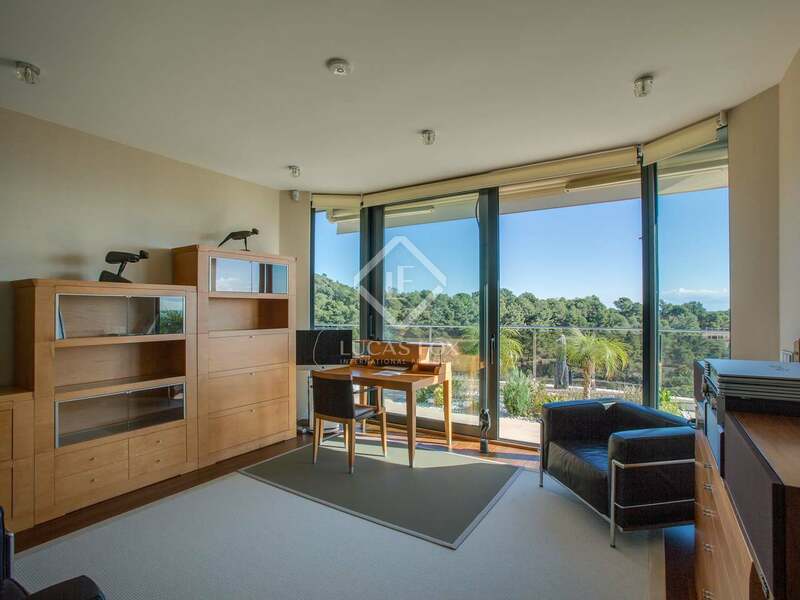 Lloret de Mar is 8 km from the property.